Can a Bakery Betray a Whole Neighborhood? Neighborhoods need many things to thrive, and I’d argue prominent among them is a gathering spot for good food and coffee. Too few Los Angeles neighborhoods boast such a business, especially one that’s not a chain and offers authentic warmth. In a city in which entire neighborhoods lack supermarkets and are forced to rely on gas stations for groceries, this is very much a privileged wish, I know. But in my little piece of L.A., we had that place for a time. And it mattered. And when the warm family place that it appeared to be turned out to have a more complicated backstory, it left a hole in our community that we’re still struggling to understand. My family lives near Pico Boulevard, in an area that real estate agents optimistically call “desirable Picfair Village,” but that might more honestly be called Auto Body Village in recognition of repair shops’ massive presence on Pico. When we bought our rundown little house about 15 years ago the car shops were joined by a dry cleaner, a just-OK supermarket, some completely not-OK corner liquor stores, and a couple of terrific, old-school places to eat—one of them a mashup of Southern fare and a taco shop, the other a diner with a strong selection of Mexican specialties. When it became apparent in 2005 that something was going on in a scruffy corner building on Pico, the neighbors were keenly interested. 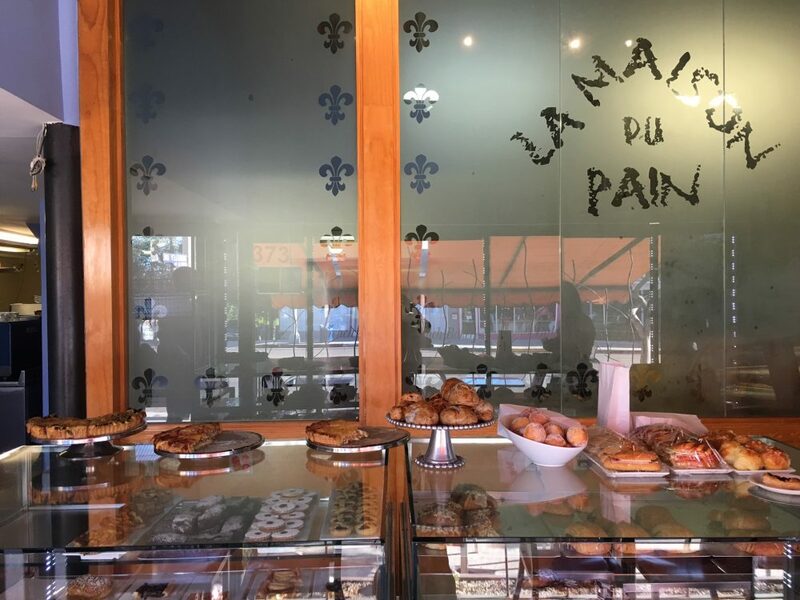 We watched the renovation into a pretty storefront and eagerly awaited the chance to buy a baguette and pastries at what was to become La Maison du Pain. The anticipation prompted me, as an LA Times reporter, to write a story about the two immigrant sisters who were risking everything to create their dream business. The news shredded many neighbors’ trust and affection, and we had to find alternatives for coffee and conversation, none of which seem to capture our community in the same way. But then, just as we began to take our neighborhood bakery for granted, the pain became all too real. In 2015, news stories reported that Carmen had, along with a sister-in-law, taken more than $5 million from a former employer, using a portion of it to pay off the bakery’s credit card debt. The money was also used for a Porsche, private school tuition and family trips to Manila, Tokyo, London and Switzerland. The news was bad enough, but then the rumors began. One afternoon I sat in the nail salon a few doors away from the bakery as one client brought up the situation. All kinds of stories were told about the bakery and its owners, some I knew to be untrue. Like a telephone game, the money involved got inflated; people thought the women had been imprisoned when in fact, the court case was a civil one. A customer who got into a verbal tussle with the sisters posted an awkward, angry video online—the last I checked it had been viewed more than 80,000 times. 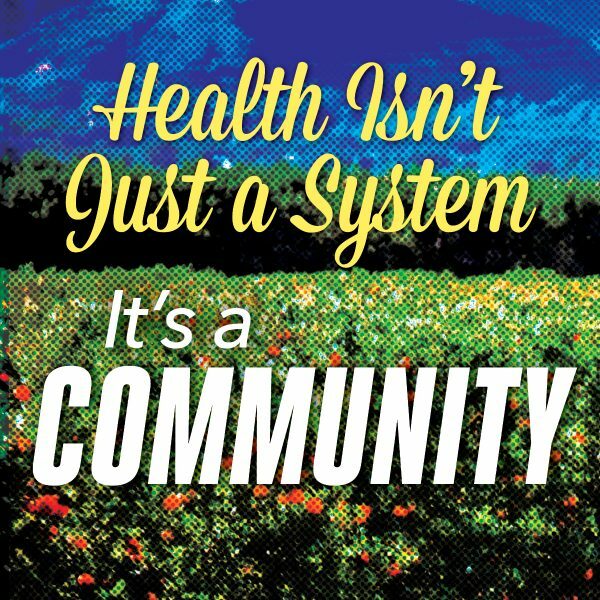 The news shredded many neighbors’ trust and affection, and we had to find alternatives for coffee and conversation, none of which seem to capture our community in the same way. Carmen and Josephine have generally declined to talk about what happened. Storefront of La Maison du Pain. The hope some of us invested in the bakery might never have been fair, but it seemed to be the sort of place that was creating community despite the auto shops, the Pico traffic, the litter, and the liquor stores. I can only speak for myself, but without a neighborhood park, the House of Pain felt like our gathering spot and so its problems became a problem for many of us. A couple on my block used to go there with their two little children; he called it a “true centerpiece of our developing neighborhood.” These days many of us are uneasy supporting the business and knowing its backstory. A friend had, for years, scootered or biked to the bakery with her sons every Saturday to buy croissants. Now, her kids grown, she walks maybe twice as far to another bakery because she can’t bring herself to patronize La Maison du Pain. The sisters still run the bakery. And people still sit outside. After all, people move out and new ones arrive. A couple of Yelp reviewers have wondered why it’s not a busier cafe. For them the elegant storefront must be appealing. One morning, a friend new to the neighborhood brought a big box of pastries to an event. I recognized the box; she didn’t know the story. 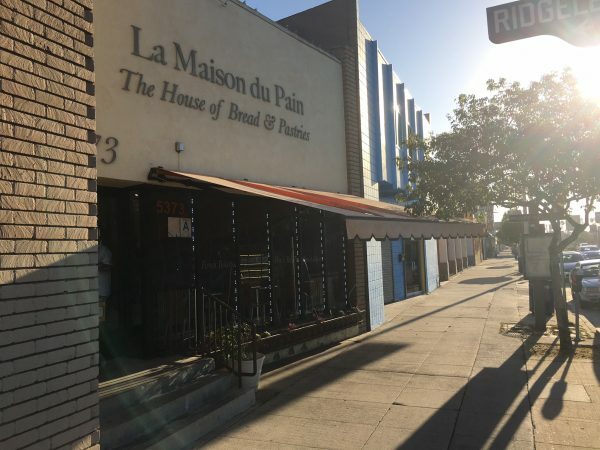 Businesses have come—a great pet food store, a hipster coffee bar, a modern soul food cafe—and gone in the decade since La Maison seemed like a pioneer. I’ve started to worry about too much gentrification. Still, there’s one little business we could use, a place to call our own. But “a place to call our own” is—as I’ve discovered—a complicated thing. Mary MacVean is a writer who focuses on food and a senior resource fellow at the nonprofit Community Partners. Primary Editor: Lisa Margonelli. Secondary Editor: Callie Enlow.